Shiny New Books hits #3! Yes, the wonderful online review magazine Shiny New Books continues to go from strength to strength, and issue 3 is now live here! This edition seems even more packed with goodies than the first two, and I suspect it will take me several evenings to read through it – and also it will have a bad effect on the wishlist! 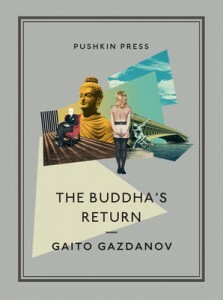 I have been much impressed with Gazdanov and his wonderful books on the Ramblings and so it was a delight to be able to review him for SNB – hopefully more people will be motivated to read him! 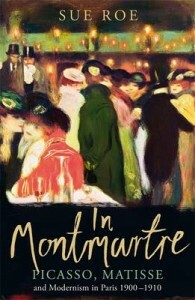 And finally, Sue Roe’s “In Montmartre” (already covered on the Ramblings) – an excellent book bringing to life the artists of Paris at the turn of the 20th century. Sparkly new Mapp and Lucia from Hesperus Press! Unless you’ve been hiding away under a non-bookish rock somewhere, you’re probably aware that the BBC are reviving E.F. Benson’s absolutely wonderful “Mapp and Lucia” for a new series this autumn. I confess to being a devotee of the original 1980s adaptation, so I may be approaching this new version a little nervously…. 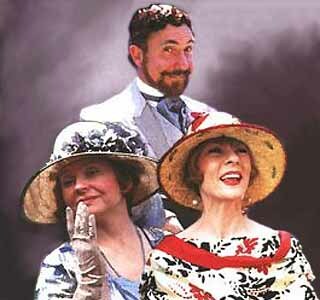 Back in the 1980s, I first stumbled across Mapp and Lucia, thanks to the very wonderful TV adaptation, starring Geraldine McEwan and Prunella Scales. The production was so brilliantly done that I fell in love with the characters and settings straight away, and was delighted to find, when I read the books, how faithful it was to them. Alas, my copies disappeared in a clear-out over the years (such a mistake, as always….) but I’ve often wanted to re-read them. So coming across a Bookcrossed copy locally was a treat, and it didn’t take me long to start on the book – actually while waiting for the bus home! 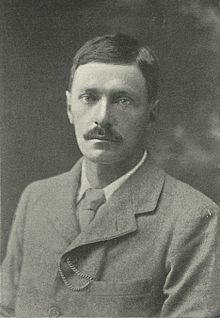 E.F. Benson looking jolly serious! “Mapp and Lucia” is the fourth volume in E.F. Benson’s series of books about these two ladies, and it’s generally regarded as the one where the series takes off. Although the pair have crossed paths in previous books, the latter have been more about the individual escapades of either Mapp or Lucia. In this one, however, the ladies lock horns and a social battle ensues! The book opens with a recently widowed Lucia contemplating returning to the social fray in her native Riseholme. Used to being the queen bee par excellence, she is unhappy about rival Daisy Quantock playing Elizabeth 1 in the local pageant and watching her machinations is a joy. But after her triumph she is a little jaded and decides she needs a change – sweeping off to the little seaside town of Tilling, with her loyal acolyte Georgie in tow, and renting Mapp’s house for the summer. All kinds of social shenanigans follow, with the two protagonists vying for supremacy. But high drama at the end brings about a spectacular denouement which if you didn’t know it was coming (I did!) would perhaps be a little unexpected! 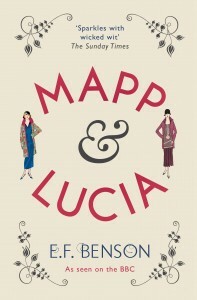 It has to be said that I’ve fallen in love with Mapp and Lucia and their adventures all over again. Benson’s writing is so wonderful – sparkling, witty, clever, readable; and he nails his characters perfectly. They are *appalling* people in many ways – snobbish, cliquey, bitchy and nosey – and yet I love them all! Lucia, of course, is magnificent – clever, forceful, imperious and determined always to get her own way. Mapp is her counterpart – equally determined to control the social events of Tilling, but mean-spirited, dishonest and sneaky. Georgie is a camp delight, with his painting, embroidery, loyalty to Lucia and dependence on his wonderful retainer Foljambe. The Tillingites, ranging from Diva Plaistow through Major Benjy to Quaint Irene are just a delight. My Penguin edition comes with a fabulous introduction, musing on why we love these characters so much. I think with Lucia it’s because she is always true to herself, with a sweeping vision – although she may bully the others, she’s trying to do something big and epic. It will, of course, always reflect well on her, but nevertheless it’s always spectacular. Mapp, however, is much more parochial and stoops to much lower levels than Lucia. Seeing them duel is a real delight! I remember adoring the production qualities of the TV adaptation – McEwan’s frocks were glorious and there was lots of lovely outside location filming. Because I have those actors fixed in my mind as the characters I don’t know if I shall watch the new version – but a revisit to the rest of the series of books is definitely on the cards!! … in which I really *do* exercise restraint and consider the state of the shelves! The others were enormously tempting but I was honest with myself – since it’s unlikely I would read them all in the immediate future, I simply haven’t got the room for casual purchases. *Sigh* – I wish I had, though! This weekend there were other temptations, particularly in the Sue Ryder charity shop, in the form of about a dozen Wilkie Collins books – obviously someone had had a clear-out! But again, I reminded myself that I was unlikely to read them soon and so passed on. It’s doubly hard for me, because I love finding a bargain! 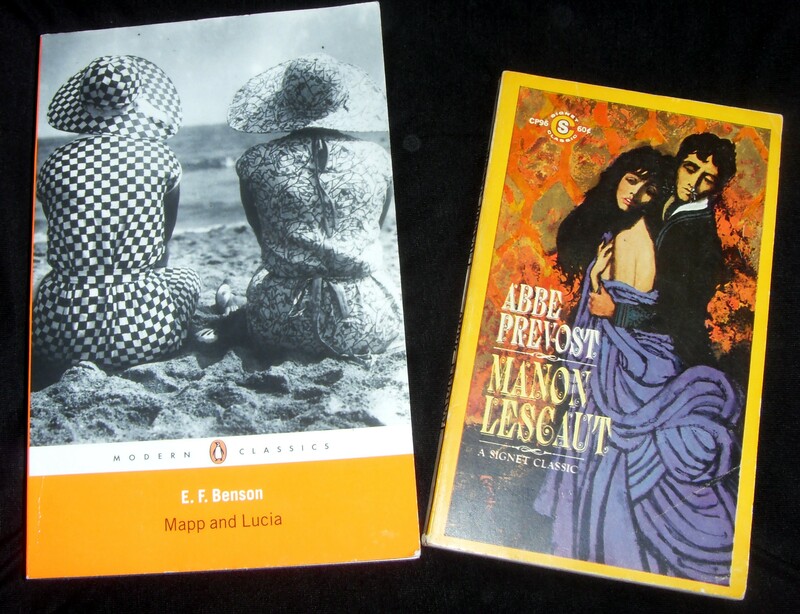 I’ve wanted to read “Manon Lescaut” since coming across Alex in Leeds’ wonderful review here – so a reasonably priced copy in the Samaritans Book Cave with a wonderfully tacky and inappropriate cover was a must! It’s an American Signet edition and the cover is luridly hilarious! The “Mapp and Lucia” was a find at the Bookcrossing station in our local Nero’s which was a great delight. I read all 6 Lucia books about 30 years ago or so, and have often thought about revisiting them. As I recall, things really took off in the series at this particular book, so I shall feel no guilt about starting the sequence halfway through! 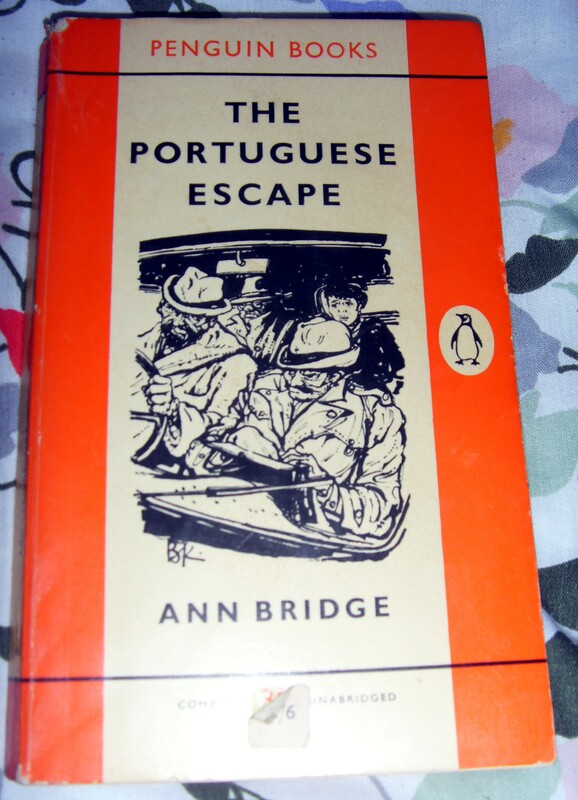 In fact, it was so enticing I started reading it while I was waiting for the bus – which has played havoc with my Proust! !